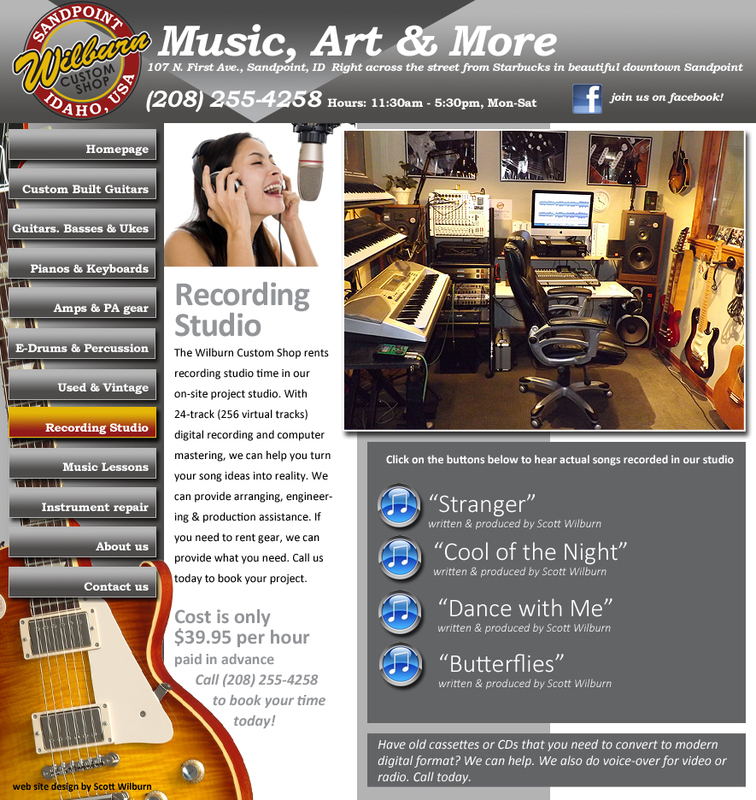 The Wilburn Custom Shop in Downtown Sandpoint Idaho provides recording studio services, with 24 track/256 virtual track digital recording, engineering, mixing & mastering. Only $29.95 per hour. Call (208) 255-4258. The largest Music Store in Sandpoint Idaho.